Data science is the future of Artificial Intelligence. Thus, it is imperative to understand the value of Data Science and how your business gets benefitted from it. Data Science is a blend of different tools, machine learning principles, and algorithms that aim at discovering the hidden patterns from the raw data. 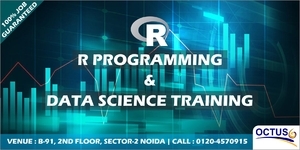 Data Scientist besides doing the exploratory analysis makes use of various advanced machine learning algorithms for identifying any occurrence of a particular event in future.